Black Desert Online is an open world action MMORPG with cutting-edge visuals and skill-based combat that redefines the way we see the genre. The game has the most fully developed character customisation system of any game that is currently on the market. Plus, its intuitive controls, beautifully designed world and extensive lore will excite both newcomers and veterans of MMO games and action RPGs in general. Black Desert Online launched in Thailand and Southeast Asia in 2018. It is now widely played across Thailand, the Philippines, Singapore, Malaysia, Indonesia, Myanmar, Laos, Cambodia, Brunei and Vietnam in Thai, English and Indonesian. 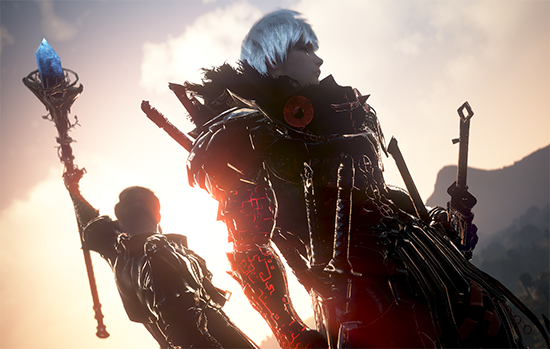 A week into the release of Black Desert: Remastered, the number of new and returning users increased 600 percent and 243 percent, respectively, and the number of daily active users (DAU) went up 20 percent compared to a week prior. Black Desert Online developer Pearl Abyss is coming to meet Adventurers at the Thailand Game Show 2018 (TGS 2018) from October 26 to 28 at the Siam Paragon Shopping Center in Thailand. TGS is Southeast Asia’s biggest gaming event, bringing together industry leaders from all over the world. TGS 2018 will feature booths to showcase the best games in Southeast Asia, eSports competitions, mini-concerts and more. It will also host the Thailand Game Award 2018, recognizing outstanding games and quality service. Pearl Abyss will be setting up shop at booth G2 for a massive display of the new and improved Black Desert: Remastered during the three-day event. Adventurers can check out all the features of the remaster, listen to the new soundtracks, take part in competitions for prizes and buy exclusive goods at the booth. Pearl Abyss will also offer Adventurers the rare opportunity to test out new content updates. Youngchul Ham, head of Pearl Abyss’ business division, will lead his team in running the Black Desert booth at TGS 2018. Ham joined Pearl Abyss in 2016 and has since overseen the launch of Black Desert Mobile in Korea, and is now at the forefront of servicing Black Desert Online in Southeast Asia and Thailand.